Global climate change noticeably impacts human health—safe drinking water, sufficient food, and secure shelter are threatened by rising sea levels and severe weather events. Heat waves dramatically increase death rates not only from heat strokes, but also from complications arising from cardiovascular, respiratory, and cerebrovascular diseases. Although global warming may bring some localized benefits, such as fewer winter deaths in temperate climates and increased food production in certain areas, the overall health effects of a changing climate are likely to be overwhelmingly negative. For example, climate warming is predicted to increase the transmission of parasite infections. Now, results from a recent study show that host immunity can influence the impact of warming on host–parasite interactions and mitigate its long-term effects. For the study (Host immunity shapes the impact of climate changes on the dynamics of parasite infections), researchers focused on soil-transmitted gastrointestinal helminths, also known as parasitic worms. In humans, these worms cause some of the most common parasitic infections worldwide. According to the World Health Organization (WHO), approximately 2 billion people are infected with soil-transmitted helminths globally, mostly in the poorest and most deprived communities. They are transmitted by eggs present in human feces, which in turn contaminate soil in areas where sanitation is poor. However, the researchers focused on two parasitic worms of rabbits, Trichostrongylus retortaeformis and Graphidum strigosum. The study results show that climate warming—rising temperature and humidity—increases the availability in pastures of the infective stages of both intestinal worms. The intensity of infection increases for the worm not regulated by immunity. In contrast, there is no significant long-term positive trend in the intensity for the immune-controlled worm. Specifically, G. strigosum infection is not controlled by the rabbit immune response. Therefore, the intensity of the parasite infection increases with warming, leading to significant accumulation of G. strigosum in rabbits, mostly in adult rabbits. Why? The rabbits aren’t able to clear the infection caused by G. strigosum with their immune response; therefore, the rabbits accumulate more and more parasites as they age—the result is that older individuals carry most of the infection in the population. However, because T. retortaeformis infection is controlled by the rabbit immune system, the effects of climate on the intensity of infection caused by this worm are mitigated. The video below provides an overview of the significance of the study. Climate change has been causing negative effects to a variety of organisms for diverse reasons. In this case, the effect of global warming has decreased the ability of rabbits to fight against parasitic helminths because they are unable to amount an adequate immune response. This has also been the case for another animal humans frequently contact –sheep. According to recent observations, there have been changes in the emergence and ability to control parasitic infections in sheep, which could possibly be linked to climate change (1). An increase in temperature, humidity, and rainfall have affected the free-living stages of some parasitic worm strains that are more susceptible to environmental changes (1). It is hypothesized that more infective L3 stage worms are generated during short periods of higher temperature, which lead to an increased risk of infection (1). Like the rabbits of the above mentioned research, the sheep are unable to rid themselves of the parasites effectively. This is due to an increase in anthelmintic-resistant strains that have differences in their epidemiology and cause parasitic gastroenteritis (1). This condition reduces the effectiveness of the exit and release of these parasitic worms, and may increase the severity of the infection long-term (1). As stated in this post, research must be done to create new treatments for such infections that are innovative and not only attack the parasite, but also fortify the host’s immune response. It’s also important that, at minimum, these treatments work at the rate that the environment is changing and fortifying these parasites’ abilities to infect their host. It is true that new treatments could help with the rise of parasitic infections and also the inability of animals including humans to fight those parasites however, I believe that we should start addressing the issue of global warming as well. By tackling both we will probably provide a more effective and long term solution. In a lot of African countries, the host as well as the vector in the life of the parasites are both dealt with for a more effective preventive solution. Yes, I agree with your statement. Global warming is an enormous problem that should be addressed. It is affecting everyone and everything and if this problem continues, there will horrible consequences. This is a very interesting post Arely. I also read that in tropical and warm temperate zones one of the main threats to the health of sheep is the parasitic nematode Haemonchus (1). This parasite feeds of the blood of the sheep, causing the sheep to become anemic and weak. Since most sheep do not get proper care, this usually leads to death. The egg and larval stages of H. contortus require a warm environment that is moist for proper development (1). Therefore, I also agree that research is crucial to target these parasites, and second, we need to start addressing the global climate change. This study brings up several important issues that are being caused by climate change and the myriad of changes that are following. One that people as a whole need to consider is the effect the weather can have on pathogens, both human and non-human. With the increase in warmer seasons, several infectious pathogens can also have longer infectious periods of transmission. Vector borne diseases especially need to be considered such as West Nile Virus (1). This virus is entirely mosquito transmitted and in recent studies, the warmer seasons are affecting those mosquitoes (1). Due to the longer summers, the spawning rate of these mosquitoes is also increasing and as a result, so is the prevalence of infection (1). With these increased seasons, is also the risk of greater spread of the disease across land masses with more human travel (1). Longer summers are at the base of increase incidence of West Nile. Interesting, now imagine dealing with Malaria in the US that will be hard. I have left Africa for now 7 years and have not taken any antimalarials in a long time and if Malaria had to affect the whole world because of global warming, I cannot even begin to imagine. The CDC states that Malaria causes at least 500,000 deaths every year in the world (Africa) and the cost of it is not easy to deal with either. Global warming is not a joke. I agree with your opinion. Although global climate change may not directly influence human immune system in a dramatic way, this study pinpoints that climate change can bring about subsequent environmental changes and affect the lifecycle and distribution of microorganisms, which in turn influences human health. Other than parasites, the distribution and transmission of viruses can also be influenced by global climate change. Transmission of many viruses to human relies on other animals. The distribution of those animals can be affected by climate conditions. The research that examined the impact of climate change on the transmission of West Nile virus showed a significant influence in a global level (1). Considering mosquitoes, which transmit West Nile virus, can also transmit viruses including Zika virus and Chikungunya virus to humans, are the emerging virus outbreaks related to the climate changes (2&3)? Moreover, is it possible that due to global climate change or any other dramatic environmental changes, such as water pollution, parasites and viruses will have more chance to infect people, causing a new epidemic disease in a short time? More studies should be conducted to investigate the relationship between climate change and epidemic diseases. I found deeper studies that compared to your findings, Lanquaio. Though focusing more on mosquitoes that carry the zika virus around, climate change has also affected the prevalence of Cryptosporidium and Giardia, two parasites that cause a serious form of diarrhea. Though there is an anti-parasitic treatment to eliminate the pathogen, resistance is always a thought in the back of medical professional’s minds. The more a drug is used, the more likely resistance forms. Since there had been a prevalent increase in the parasitic population, resistance is bound to happen. Scientists are crediting this growth in parasites to the climate change effected by African countries. Due to the inevitability of the drastic change of climate levels in the world, doctors have to find more ways to be able to treat the disease that they feel would eventually surpass current medications. Increased climate change will continue to change the status quo of nature, whether it is for the good or the bad. Taking the best care of our people is the first and foremost important task. However, finding ways to be able to fix the bigger problem about the weather direction will drastically decrease further rising health complications. Global climate changes is not only advantageous for parasites when it comes to their infective stages but it also increases the survival of parasite vectors such as mosquitos. As we all may know, mosquitos play a major role in the development and transmission of the plasmodium parasite to their hosts and without this vector this parasite species would not be able to survive. Research have shown that global warming has increased the survival rate of the female Anopheles mosquitos in many parts of the world including subtropical and tropical regions. As a result, the transmission rate of this parasite has increased and is re-emerging in parts of the USA, Korean Peninsula, and parts of Southern Europe (1). Global warming is not the only blame for an increase prevalence of malaria infections globally, there are other factors that play a role such as resistance to drugs and an increase human population and migration. However, global warming does plays a crucial role in controlling the environmental factors that are necessary for the survival of this parasite. I agree with you. The global warming has a great impact on the health. It causes the occurrence of alarming manifestations. For example, the Asia continent may be influenced by the climate change. The animal health can be affected by four ways: heat-related diseases and stress, extreme weather events, adaptation of animal production systems to new environments, and emergence or re-emergence of infectious diseases (1). Also, after global warming, human is more susceptible to infected by compounds, because their immune system is changed through exposing in the ultraviolet radiation, and the malnutrition because of the decreased agriculture production. What’s more, the climate change and extreme weather condition will influence the infection transmission, human immune system will change, animal and plant health will become a big problem. Scientists should do more to analyze these outcomes and to find solutions to address these problems (2). The health of human, animals, plants is the human’s final goal. It’s our responsibility to do our best to find approaches to relieve this problem. Everyone should do something to protect this environment. As mentioned, arthropod-borne vectors are also becoming significantly more prevalent due to the climate change. Because of Global Warming, winter months are becoming warmer, allowing for year-round transmission of arthropod-borne disease such as Dengue and West Nile Virus because their vectors are able to survive better in warmer conditions. Globalization is another issue that humans have created. Because the world is essentially becoming smaller through the creation of new technologies, disease and pathogens are able to spread to regions where they would not normally be found due to transportation (1). We need to closely monitor our impact on the global environment to prevent epidemics from reaching an all time high. This includes monitoring how much waste we create, how much pollutant gas we allow into the atmosphere, how much land we occupy, and how many resources we overuse. Climate change not only affect the survival rate of the vector animals, but also affect the rate that the vector animal transmits their eggs. Toxoplasma gondii is the parasites that cause Toxoplasmosis which is a disease that cause no symptoms on adult but can cause neuro deficit of fetus if the mother is infected during pregnancy. Cat is the major transmission vector of this parasites and the transmission pathway is releasing the oocysts in the feces and human may be infected by contacting the feces. There is a study shows that the rate of the cat shedding the oocysts affected by the seasonal changing. In the study, cats tend to release more oocysts during summer and autumn while reach the lowest rate during the winter time (1). This means that the warmer the weather, the cat are tending to release more oocysts. This shows that the temperature change can affect the oocysts releasing from the vector animal. Therefore, global warming will lead to the increase oocysts releasing from the cats and cat owner are increase the risk of infecting Toxoplasmosis. Global warming may also affect some species immune system functions and make them more fragile in parasites defense. One study done at ectothermic species shows that activity of the immune system is high at relatively low temperature while low at relatively high temperature (2). This study investigates both innate and adaptive immunity and both shows that low activity at relatively high temperature. This shows that temperature increasing facilitate the invasion of the parasite to the ectothermic host because of the lower immune defense efficiency. Therefore, global warming really create a suitable environment for the parasites. Climate change is had numerous side effects on the global population. Some of the effects lead to beneficial changes in the environment. However, an overwhelming majority of the effects leave a negative impact of the environment. For example, the parasitic interactions among hosts, which lead to interesting effects. In the article, “Temperature stress and parasitism of endothermic hosts under climate change,” it is stated that endocrine and immune systems that help control homeostatic are primarily affected. (1) The original article states that increased rates of infection occur when there are higher temperatures. The reasoning behind that is that the rabbit’s immune response is weakened, so they bodies are not able to clear the infection. Something that I would like to look more into is what specific immunological antibodies and cells are impacted from the increase in global temperatures. Based on prior research, my hypothesis would be that certain receptors might not be able to bond to pathogens at higher temperatures. It may be the TCR, BCR, or any of the MHC complexes that are affected. It is without doubt that climate change or global warming has a negative effect on animals, and in this case on rabbits since they are unable to fight against parasites because their immune response is low. However, it is a problem that also affects majority of vertebrates. In this study for instance, researchers evaluated the direct effects of rapid temperature change on immunity in Gopher Tortoises, specifically testing the lag hypothesis which predicts significant misalignment of optimal and realized immunity when temperature rapidly changes. They found that during summer, rapid temperature reduction caused a series of changes in immunity, including reduced bactericidal ability (P = 0.002), reduced humoral response (P < 0.0001), and increased heterophil: lymphocyte ratios (P < 0.0001). (1). However, during the winter, temperature provides no benefit to immunity (1). Their findings demonstrate that rapid temperature change, regardless of its direction, is a constraint on immunity in ectothermic vertebrates which something to really take into consideration because humans are vertebrates as well and could be possibly be at risk. Climate warming is an inevitable thing, recently. Because people use the fossil fuel that will produce the CO2 and other things, causing greenhouse effect. The climate warming will contribute the sea level rise and extreme weather. Also, according to a research, it discusses the impact of climate changes to the parasites of rabbits. Due to the fact that climate warming will prolong the parasites to grow and make the parasites to spread easily, the rabbits will be exposure to this parasites more easier. Moreover, the parasites get more thermal energies, they will hatch more eggs, and the time is shorter, thus producing more infective larvae. The potential of infection and the risk of seasonal transmission are increased. (1) All of these results indicate that the climate warming not only influences people through changing the environment of the planet, but also it can threaten the livestock and wildlife to make them expose to more parasites. We should do something to improve this situation of climate warming. I completely agree with the fact that climate change will not only affect parasitic infections of humans but those related to wildlife as well. A 2017 study focused on analyzing evidence regarding the effect climate change and pollution has on both terrestrial and aquatic ecosystems to determine the impact on parasite transmission. The observed data demonstrated that abiotic and biotic factors tend to work additively, multiplicatively or antagonistically to influence parasite transmission. However, only a few studies have ever actually considered that fact when designing system models. The authors of this study constructed an integrated approach when inspecting transmission dynamics of parasites. The aim of the survey was to be able to utilize this integrated model to predict where the disease may be transmitted next. However, due to the evolving nature of some infections, this method is still a work in progress (1). Last week in our class sessions we spent time discussing on the topic of sustainability which is none other than the avoidance of the depletion of natural resources in order to maintain an ecological balance as defined on Google. This article brings up again the topic on climate change and depletion of natural resources focusing on health. Climate change scares a lot of people and most understand it with the loss of groundwater, the decrease in the bee population, the ice melting in the North Pole and also the temperature rising; what a lot of people do not understand is that the rise in temperature is slowly transforming the western world into “tropical islands” and I say that because a lot of those places deal with diseases that the western world does not usually deal with given that the temperature in the west is very cold in the winter and not as warm in the summer. In this article, the author discusses how parasite infections may pose a problem with the rise in temperature, she believes that a lot of the tropical diseases (in this case-parasitic) will be on the rise. Parasites infects both humans and stock, infection is highly seen in infants with weaker immunity while the adults are also not spared. The issue of climate change may seem to be the last thing on our mind but needs to be addressed to prevent the future increase in parasitic infections as read above. Another article on PubMed shares on the increased incidence of Malaria in Romania due to climate change (1). Keep in mind that Romania reaches temperatures as low as -5°C in the winter. When it comes to climate change, we mostly think of its impact on environment alone but its overall impact on ecosystem is being understood more and more. Climate change is expected to broaden the niche of many other pathogens and increase their host range. Rise in temperature also increase the transmission rate of parasites and pathogens as discussed in this article. A group of researchers studying effects of climate change on pathogen infection found that climate change can split a continuous sprint to fall transmission season into two separate transmission seasons with different timing (1). Bigger the pathogens niche gets, they will spread faster and evolve rapidly, which is detrimental to humans and other animals as our immune system cannot keep up with new pathogens. Rise in sea levels, which will lead to loss of habitat, along with faster and longer transmission of new and evolved pathogens will greatly affect health of people if sufficient action is not taken to mitigate the effects of climate change. I agree with your statement, we need to start having more open conversations about climate change and even more importantly, actually start making changes to out lifestyles for the better of the planet. One thing people fail to realize is that climate change just does not produce one effect, it’s a chain reaction, leading to more and more damage done, including in the ecosystem. Climate change effect will be seen in every aspect of life on earth. There are many research data out there that confirms the existence of climate change, including one about the earth’s persistent atmospheric change, which is of course due to climate change. Overall, climate change is happening as of right now, and more people need to be informed about the dangers that could emerge if human activities on earth do not a take a turn for the best. Due to the global climate change we have had an increase in temperatures and precipitation. These changes are effecting our biodiversity and ecosystem. In Hawaii, a mosquito- born pathogen known as Avian malaria is one of the primary causes of extinction to certain bird communities (1). In areas where climate and precipitation have increased, native Hawaiian birds are more susceptible to malaria infection. The mortality rate for some of the birds infected with malaria is 90%, causing a decrease in the bird population. Now many native species are only surviving in high elevation forest in Hawaii, also known as malaria-free refuge (1). However, due to the climate change over the next years the malaria-free refuge will vanish, and will have an increase in malaria infections. This is a serious concern for to abundance and diversity of the Hawaiian bird communities who are at risk of extinction. As global warming continues to magnify across the world, it presents many well-known threats such as gradual increase in temperature over the years. However, this article brings to mind the thought that global warming can also increase the number and viability of parasitic worms in the soil that can cause severe disease and infection if consumed. 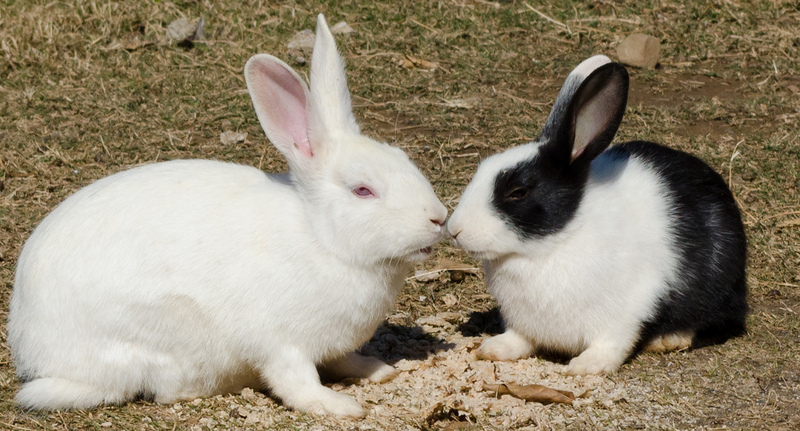 The article primarily studied two different types of parasitic worms in rabbits that both increase in numbers with global warming, but vary in intensity of infection because T. retortaeformis infection is regulated by the immune system and G. strigosum infection is not. A study on aquatic animals also suggested global warming to increase transmission rates of parasitic worms as well as their virulence or ability to cause infection and disease (1). I agree with the article in that global warming would increase the presence of helminths since soil thrives better in warmer conditions, thus providing more nutrients to the parasite. The article never mentioned what virulence factors G. strigosum contains or what a rabbit’s immune system is lacking to be unable to fight off infection from the parasitic worm. If that can be studied further, it can be used as a way to mitigate the effects of the changing climate and reduce the susceptibility to parasitic infection in both rabbits and humans. Global warming has been known to have many negative effects on different organisms in a variety of ways, including decreasing the ability of rabbits to fight off parasitic infections. Parasites can be transmitted through many different ways, such as through soil, the animals we eat or, most commonly, through mosquitos. According to a study, the rise in temperature has increased vector borne diseases like malaria (1). These Plasmodia parasites are able to thrive longer in their vector, usually the Anopheles mosquito, to infect their host, the human or animal (1). The time for the parasites to mature and develop in the salivary glands is about 7-30 days and can be earlier due to warmer temperatures (1). This shows that global warming does in fact cause not only environmental issues, but also human health issues by facilitating the flourishing of parasitic diseases. Global warming is one of the most studied and threatening climate change of world. Global warming encompasses rising temperature and humidity which create a warmer habitat over a longer period. Therefore, global warming increases the number of soil parasite and their transmission. While the effects of global climate change are briefly discussed, it would have been helpful to address factors that intensify the infection caused by Trichostrongylus retortaeformis and Graphidum strigosum. The intensity of parasite infection is regulated by the host immune response. In a study conducted, helminth coinfection with myxoma virus changes host susceptibility to the parasite by altering TH1 and TH2 immune response (1). As a result, myxoma interferes with the host ability to remove T. retortaeformis which cause co-infected rabbits to show more severe parasite intensity and high levels of parasites. Consistent with the article, data from the study indicated that T. retortaeformis remained high in older rabbits. Studying factors that contribute to parasite prevalence may provide ways in which we can reduce or eliminate the intensity of the infection caused by these parasites in both human and animals. The impact global climate change has on human health is commonly known, but the effect it has on parasitic behavior and dynamics is not well documented. Over the next few years, hopefully, we’ll be able to design a treatment that can neutralize parasites if the host immune system can’t control the spread. Another environmental issue that may cause issues in the future is the effect varying levels of pollution have on parasite responses. Environmental parasitology focuses on this specific interaction, but with the goal to utilize parasite taxa as environmental health indicators. Parasites are integral members of any ecosystem and therefore tend to accumulate in healthy habitats. However they are sensitive to even slight disturbances in the environment. The paper highlighted the correlation between the composition and diversity of parasites to the pollution gradient, concluding that toxic pollution significantly reduces parasite diversity and concentration. Also, parasite level has been used to measure the restoration of previously degraded habitats. Since the presence of different parasites indicates the overall health of an ecosystem, it provided evidence of successful rehabilitation of the biodiversity and natural state of the area (1). While parasites do have negative effects on the health of humans and other organisms, they do also play a significant role as toxic pollution indicators. There is study out there where they wanted to propose how vulnerable parasites are to extinction. Even though parasites benefit from climate change, they wanted to see what biological traits make them vulnerable to extinction. Climate change is defined as a change in global or regional climate patterns, due primarily to the increased levels of atmospheric carbon dioxide produced by the use of fossil fuels. Climate change, if not taken seriously, can lead to much damage than we ever imagined. The effect climate change have and will have on the human race is well known, but this study talks more about the effects climate change has on Parasitic behavior. More research about this need to be documented. Climate change will cause a chain reaction on life as we know it. Everything on earth works with each other, so an effect in one area will lead to an effect in another. A study was recently done that talked about the effects climate change has on freshwater, especially fishes (1). This will eventually lead to population isolation in thermally unsuitable habitats and physiological stress, species declines or possible extirpation (2). Overall, climate change is an urgent matter and society needs to take action effectively and quickly. Leave a Reply to alleest2 Click here to cancel reply.